As a member of Aerosmith (1979-1984), the lead guitarist on a two-year world tour with Rod Stewart, and recording and performing credits that include Stevie Ray Vaughn, Jeff Beck, Stevie Nicks, Jon Bon Jovi, Clarence Clemons, Little Steven, Billy Squier, Bernie Taupin, Julian Lennon, and many others, Jimmy knows guitar tone! 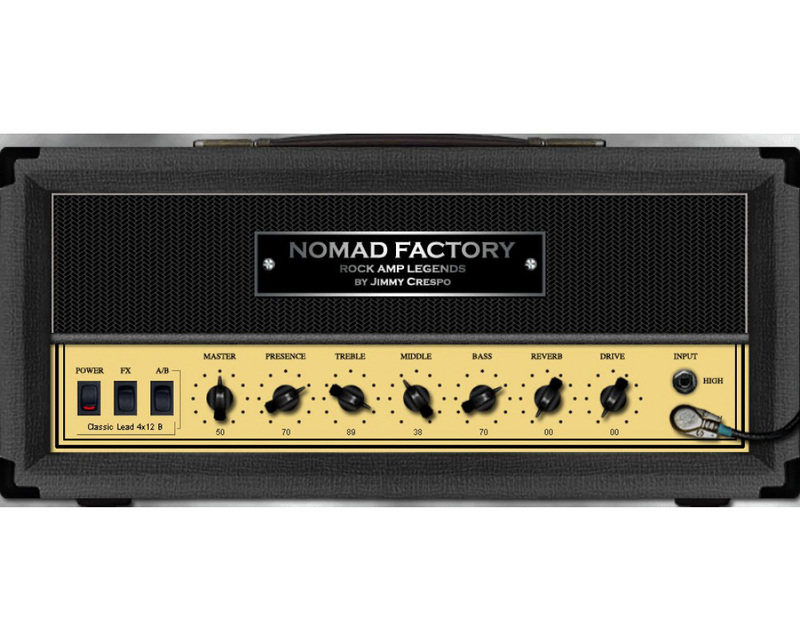 With guitar in hand, Jimmy Crespo worked in the studio with Nomad Factory to capture the signature sound behind Rock's biggest hits and design the best-sounding amp simulator plug-in on the market. Whether you play crunchy riffs, clean rhythms or screaming solos (or just want to "re-amp" a dry guitar track), the results speak for themselves. Of course, Nomad Factory is known for building very musical pro audio tools. 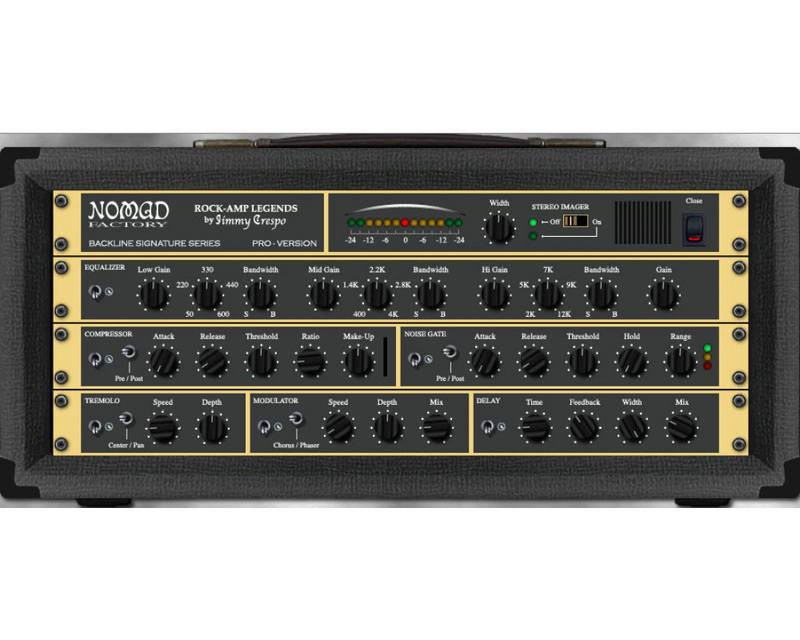 In designing this amp, Nomad Factory was also determined to reproduce the responsiveness and "feel" of a true guitar amplifier. Just like the amazing guitar tones, the playability is second-to-none. AudioUnit, RTAS (Pro Tools) and VST plug-ins. VST, RTAS (Pro Tools) plug-ins.